If you're new to the FileMaker Platform, get started more quickly by snapping together predefined apps with additional tables to get the custom app you’ve always wanted — without any “behind the scenes” work. Are your business processes and data out of control? Are you having a hard time finding the right solution that does exactly what your team needs for the right price? 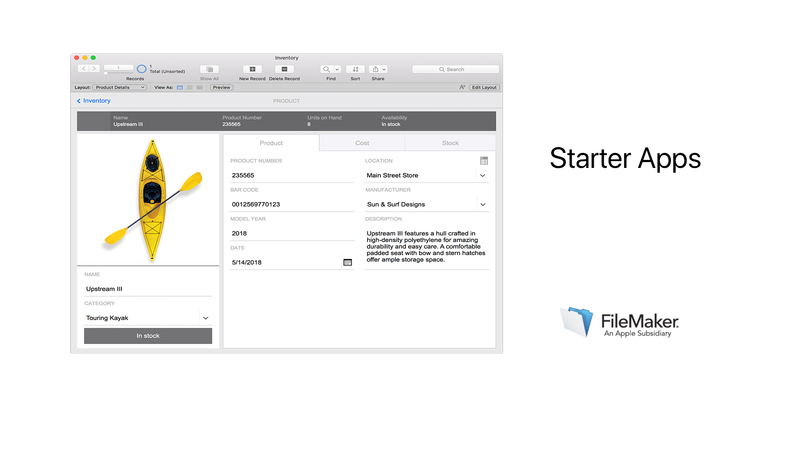 Create an app with FileMaker Pro Advanced using the new starter apps and quickly create solutions that work the way you do.